Kristen Morico, P.E., BCEE, CSP, F.ASCE, Global Leader, Corporate Environmental Programs; General Electric Co.
Kris Morico is Global Leader of several successful Corporate Environmental Programs at General Electric Co. including: GE's Global Water, EPCRA, PRTR Chemical Management Programs and the new Environmental Excellence initiative launched in 2010. This initiative recognizes the GE locations with outstanding environmental performance. Additionally, she leads the team associated with the company's fourth ecomagination commitment: to make a 25 percent absolute water reduction by 2015. In this role, Ms. Morico is responsible for the development and implementation of all associated programs across GE. She works closely with the company's business segments to proactively maintain compliance and achieve company goals. Ms. Morico began her career working in the municipal water sector as a process engineer for the Regional Water Authority in New Haven, Conn. Over the past 27 years she has assumed leadership positions across several Fortune 500 companies including Clairol, Inc., Malcolm Pirnie Inc., Pratt and Whitney (Division of UTC), and most recently Tyco International. She has a Bachelor of Science degree in Biology from Fairfield University, a Master of Science degree in Civil Engineering from the University of Connecticut, a MEM Environmental Management from Yale University, and an EMBA from the University of Connecticut. She is a licensed Professional Engineer, Board Certified Environmental Engineer in the American Academy of Environmental Engineers, Certified Safety Professional and Certified Hazardous Materials Manager. She also possesses a Class IV Water Treatment Plant Operators License issued by the State of Connecticut Department of Public Health and is an Environmental Laboratory Director through the same agency. She is an active member in several professional EHS organizations and was recently elected to the status of Fellow in the American Society of Civil Engineer. 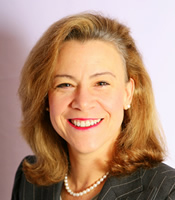 She serves on the advisory board for the University of Connecticut School of Civil and Environmental Engineering as well as a board trustee of the American Academy of Environmental Engineers. Kris is a visiting lecturer at Yale School of Forestry and Environmental Studies and was inducted this year into the Academy of Distinguished Engineers at the University of Connecticut School of Engineering.